drive to Filey beach and ended up settling for a stretch of the River Hmber known as Hessle Foreshore as its only a 7 mile drive from mine. 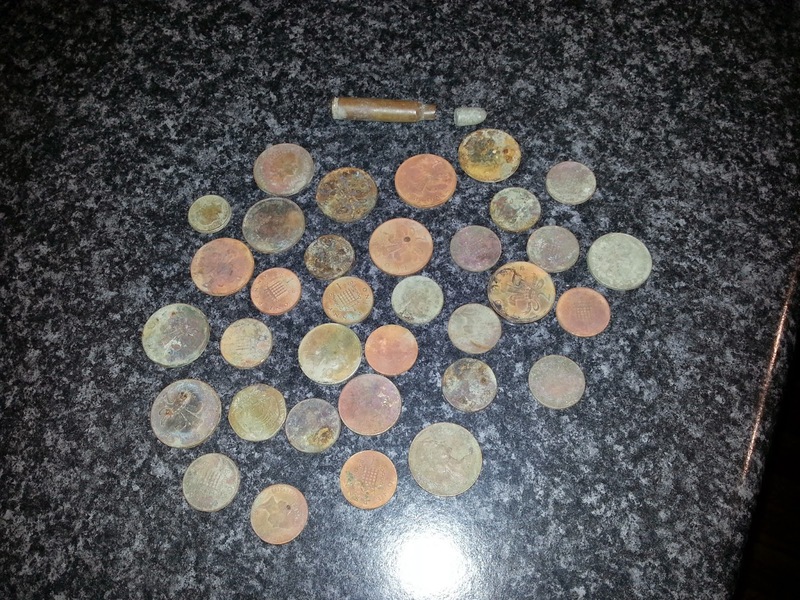 I have had some decent trips to the foreshore in my time detecting and have found a hammered coin there and 8 rings 5 of which were gold. There is a rich history around the area and I have witnessed some lovely old hammered coins and artefacts dug from there. The terrain is quite possibly the most difficult to metal detect on, its a mixture of chalk rocks and boulders, mud, more mud and a million nuts bolts and nails. 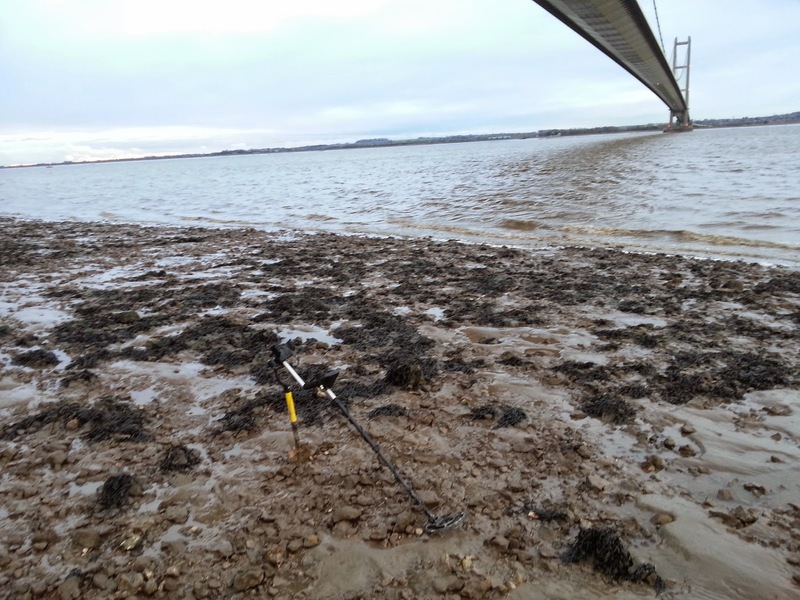 There are waist deep pools of sinking mud and everything is slippery which when added to the fast flowing Humber makes for a detecting arena that is not for the faint hearted. 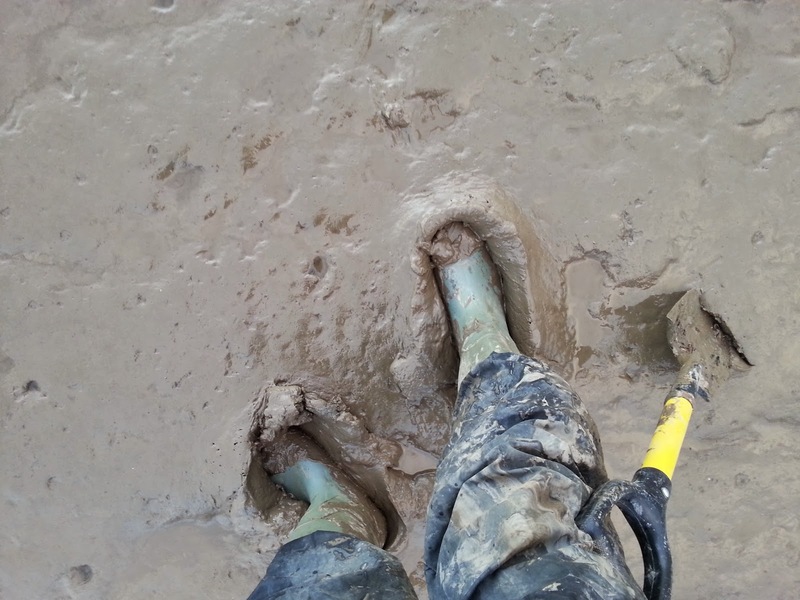 Rocks, mud and sludge, metal detecting hell. Watch your step or pay the price. The weather was damp and dull and there was still a good 6 inches of summer silt over the majority of foreshore but I thought it was still worth a try. I started out in an area that is perfect for coin-shooting, the going is tough and there is plenty of ferrous scrap to scupper the plan. So my weapon of choice was my Teknetics eurotek pro, settings used were sensitivity 8, discrimination off with iron audio set on 10. The coin-shooting area was just as expected and I soon had a pocket full of modern coins consisting of 2,5,10 and 20 pence coins. I have never found anything old in this area though so I was soon off further upstream in search of a hammy or artefact, unfortunately though the silt was very deep as shown in one of the photos and all I managed to find was a 22 bullet case and a small lead bullet. 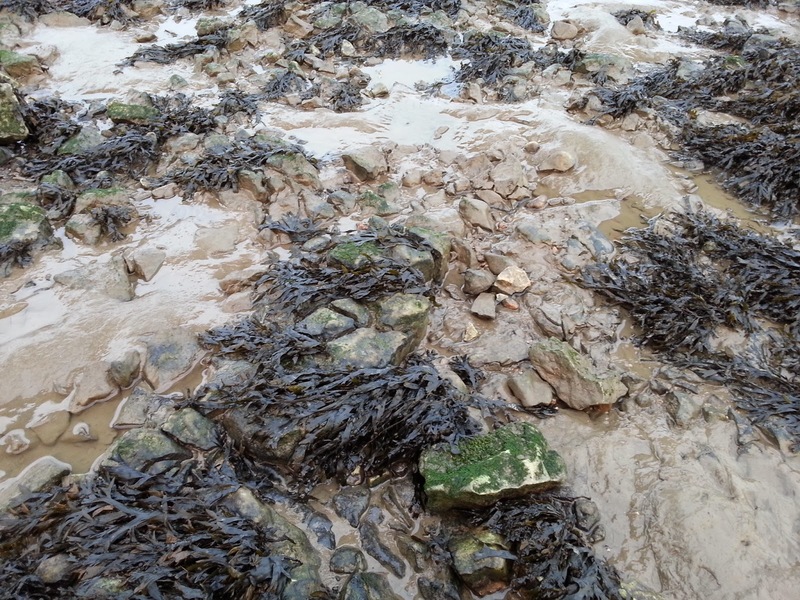 Finding them amongst all the silt without a pro-pointer is a challenge in itself. So today there was no gold, hammered, silver or anything old but it was a pleasant few hours and I am already looking forward to getting back out again, hopefully on a nice beach though.